My family has been to Disney World a few times and we plan to return often; it is one of our absolutely favorite vacation spots. But as anyone who has been there knows, it is not an inexpensive vacation. Fortunately, a little knowledge and research before your trip can help you save money. I’ve taken a Disney vacation when money has not been a concern and I’ve been to Disney when I’m literally counting every penny that I spend. In either case, I try to spend money on “the good stuff” and save money wherever I can. This is how I’ve learned how to save money at Disney World. Don’t pay for water. Bring in your own water bottle. This is by far one of the easiest ways to save money at Disney World. A bottle of water in the parks can cost a few dollars, but if you bring in your own empty bottle and refill it throughout the day, you could save $12-$16 per day just in water alone. Refilling a water bottle also cuts down on the consumption of soda. The Florida sun is brutal and you need to keep hydrated, but it shouldn’t cost you money to do that. Spend money on only the best snacks. Pack your own snacks such as pretzels or crackers to stave off hunger or boredom in line, but allow each person one Disney snack a day. You’re on vacation after all and Disney World does have some fantastic snacks. My family never leaves Magic Kingdom without having a Dole Whip. In another park it might be the Mickey-shaped ice cream bar. Epcot’s World Showcase is a great place to have a churro from Mexico, crepe from France or red bean ice cream from China and we always make sure to get a mango pie at Animal Kingdom. We enjoy Disney snacks, but each person is only allowed one special snack per day. By limiting my family to only one purchased snack a day, we can save $20 per day. This tip not only saves us money, but it is healthier for our bodies as well. Eat breakfast in your hotel room. My family does take advantage of a few Disney breakfast buffets or character meals during our vacation, but most of our breakfast is consumed in the hotel room. Either I bring food from home (we drive to Disney World) or go to the grocery store when we arrive. Most Disney hotel rooms have a small refrigerator big enough for yogurt, juice and milk. Add some cold cereal, fruit and bagels or muffins and that’s a complete breakfast. Breakfast groceries for a week would cost about $50, while eating breakfast out every morning would be $200 or more for the week–and that’s just a quick counter meal breakfast. A character breakfast or buffet costs my family $70 per meal, not including tax or tip. Eating breakfast in our hotel room saves my family tons of money, but it also saves us time because we can eat and get dressed in shifts; we like getting to the parks early to beat the lines and heat. Share a meal. Disney World serves huge portions, especially at the table restaurants, so if you aren’t on the Dining Plan, share a meal. Most of the time the meals are too much food for one person to eat anyway. By sharing a meal, even just one meal a day, my family can save $175 over the course of a week’s vacation. Check for special offers. The official Disney World website is the place to find special offers for Disney World resorts and packages; the button is located on the upper right corner of the home page. All of Disney’s officially advertised deals are here and depending on the time of the year, there can be some great deals to be had. Last spring break vacation my family took advantage of the “Buy 4, Get 3 Free” offer and our hotel at Saratoga Springs, the Dining Plan and park tickets for 7 nights cost the same as 4 nights. This saved us about $1,650.00 and because of the savings we were also able to stay in much nicer hotel than we had on a previous trip. Let kids use their own money for souvenirs. My kids often get money from relatives for Christmas and birthday presents, but really have nothing to spend it on at home. Disney World is the perfect place to spend some Grandma Money. 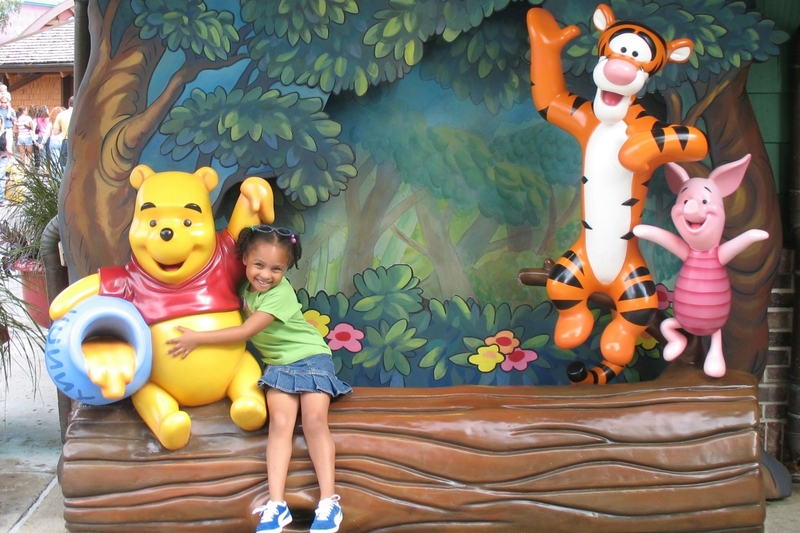 What parent likes to deny their child–especially at Disney World? But saying “yes” to every desire can really add up. Kids are usually better consumers when they spend their own money and really think about their purchases instead of asking for everything that they see. Buy souvenirs wisely. Disney World is full of wonderful things to buy and your kids are going to want everything, but you should save your souvenir money for the good stuff. Anything that you can buy in the mall at the Disney Store or Target back at home, don’t buy it at Disney World. Instead, take advantage of the special items that only Disney sells. Personalized mouse ears are always fun to buy. My daughter loves going to Once Upon A Toy in Downtown Disney to buy new parts for her Mr. Potato. Many of the gift shops outside of popular attractions have souvenirs related to that attraction. For instance Tower of Terror has really neat hotel-related souvenirs and the gift shop at Star Tours is a perfect place for Star Wars fans. Epcot’s World Showcase is a fun place to buy souvenirs from around the world. My family’s favorite store is in Epcot’s Japan; we love Japanese candy and wind-up toys so this is where we spend our money. It’s different, fun and not something that we can buy anywhere. I hope that I’ve given you some tips about saving money on your next vacation to Disney World. 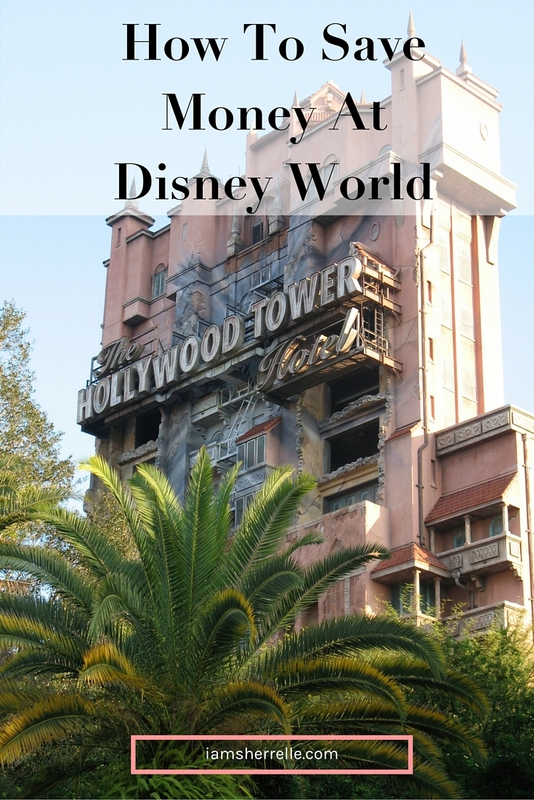 For a more detailed review of my trips to Disney World please read my 3 part series, How To Plan A Trip To Disney World. If you have any questions about Disney World, please leave me a comment and I will try to answer. P.S. You may also like these blog posts. .-= debbie hudson´s last blog ..**FREE** Axe Shower Gel for Men =-. Great post! Another thing to remember is that BY LAW Disney has to provide water to all Park Guests, so really-you don’t even have to carry your own water bottles in. We finally clued in and realized this 2 trips ago, and now my 13YO’s backpack is much lighter since he’s no longer carrying 8 bottles of water around! LOL! Thanks Debbie; that’s good to know! You have your teen carry around the backpack too, huh? They have young backs LOL! Great tips I am kicking myself for forgetting to stop for new Mr. Potatohead parts. I read about that before #DisneySMMoms and planned to go…rats! And those Dole Whips are soooo good! I appreciate this post so much because my family is planning a trip to Disney in June. Thanks so much! Glad to help, Krystal! Let me know if you have any other questions. Excellant tips. The water alone is an exellant idea as well as the snacks.